It was a cold, blustery day, as most days are on the south-coast of the UK at the beginning of February. Clouds were scudding across the sky as I drove down to Sunseeker’s base in Poole. 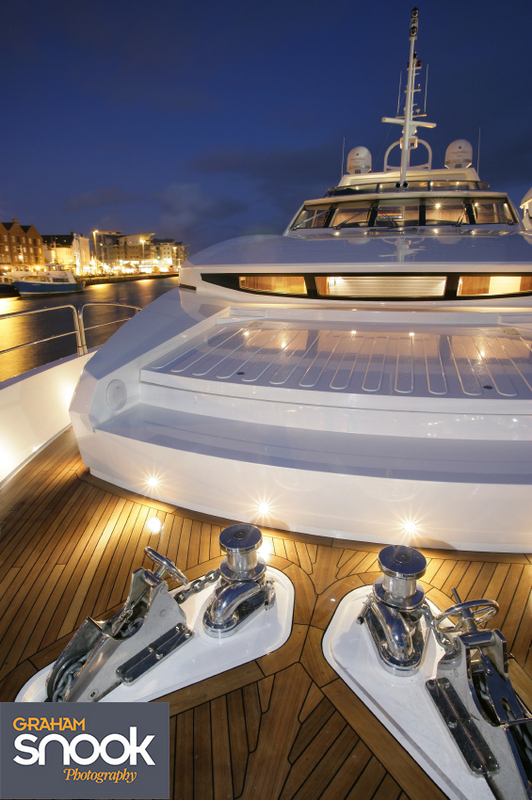 The shoot was for the first issue of Superyacht World magazine, IPC Media’s new Superyacht magazine. The boat I was there to shoot was the Sunseeker 34m, 112 feet of luxury Sunseeker fresh from the yard, but a question mark hung over whether we could go out. 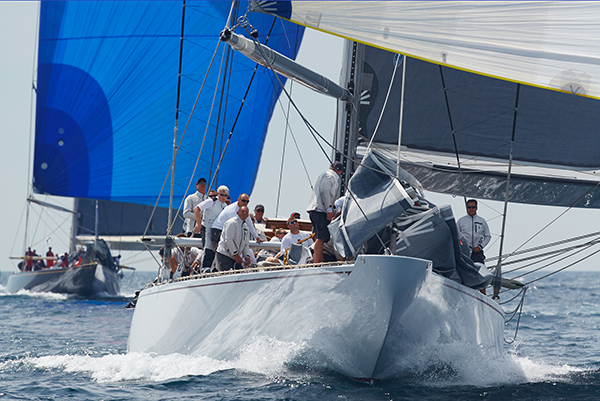 Sometimes boat manufactures can get a little uncomfortable about magazines testing their new boats in a bit of a blow. It was blowing around 25 knots, at the cusp of a no-go scenario. Designer glassware can come adrift, microwaves fall out of their fine wood surrounds, televisions can come off bulkheads and headlining can succumb to gravity. 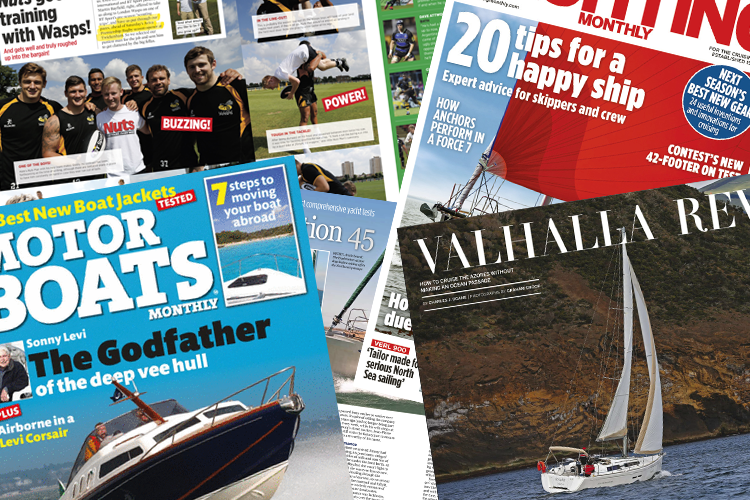 It’s not as if any magazine goes out to break boats, but they will happily test boats in any weather. Some boats survive with aplomb, others look like a rock band have trashed it. So it’s always a bit worrying when I need to get the shots and it’s blowing. I shouldn’t have worried, Sunseeker were more than happy to take their new (big) baby out in a steady 25 knots of wind against tide excitement to get some photographs. 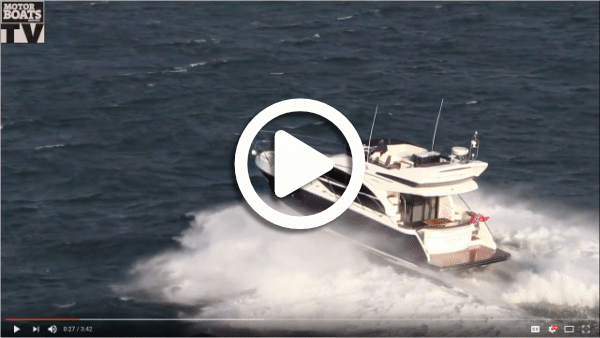 Trying to show a relaxing luxury yacht in a blow is never an easy task, let alone when everyone on board has taken shelter inside because of the cold and the spray, which was reaching the flybridge of a 112ft boat (quite an achievement). Downwind in a following swell, added to the wake of the photo boat, she looked majestic, rising up and parting the seas, up wind there was a lot of spray flying around, it looked dramatic, but I didn’t want dramatic. It was winter and while the sun was shining, it didn’t look warm. Time for a rethink. After an hour or so shooting on the water, I had the running shots covered, but I wanted some exterior images which the magazine could use to add colour to the feature. 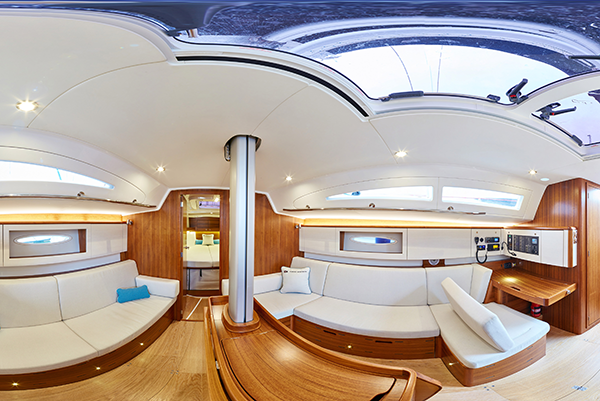 I also needed to shoot some interior details to accompany Sunseeker’s own PR shots for the magazine. As I’ve said before, one thing I like doing is shooting at night, the warmth of the lights, adds an artificial warmth to the photographs, and using a slow shutter speed can capture colour in the sky, when it looks too dark. Luckily in winter I don’t have to stay up too late to wait the darkness to arrive. I set about shooting the interior details while waiting for the sun to go down. The 34M was moored up opposite Poole waterfront, which was well lit up. I knew a long shutter speed would be needed because it was dark and I wanted a small aperture to add depth of field (the area in focus from distant to close up subjects)and fine star-bursts from the lights on board. All the interior lights were switched on and I went to the bow armed with my camera, a tripod and a bucket of water. The image was composed primarily with a cover-shot in mind, with the majority of space around the top left, and other space left for cover lines. The stainless steel was wiped down, a white balance reading was taken because of the number of different light sources, and before shooing I wetted the decks. Dry teak can look strange sometimes, salt water stains and darker patches left by water all show up. Wetting the decks makes them look nice and clean it also avoids having to wait for any wet footprints to dry up, a lot easier in the Med than in Poole in winter. Finally with a shutter speed of 20 seconds any movement of the boat would show up. Although I was using a tripod on board, the boat would remain sharp, but the background would be blurred. So it’s a matter of capturing the scene at the right time when the boat isn’t moving, or isn’t going to move during the exposure. How do I know it’s not going to move? I don’t but I’ll take a number of shots to ensure one will be usable.